The Reynolds Performing Arts Students were great at Move It 2012! 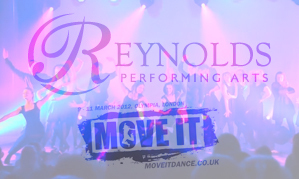 Home / Reynolds Training Academy Blog / The Reynolds Performing Arts Students were great at Move It 2012! Over the weekend of the 9th – 11th March 2012, our Performing Arts students executed fantastic productions across the Showcase Theatre and Main Stages. There was also a chance for a couple of the students to show off their skills on the Freestyle Stage. The stall was buzzing with enthusiasm before and after the performances, and the wrist bands went down very well! Watch our performances below, and see other Reynolds Performing Arts videos on our Reynolds Training YouTube Channel.